It's officially less than two weeks until spring! 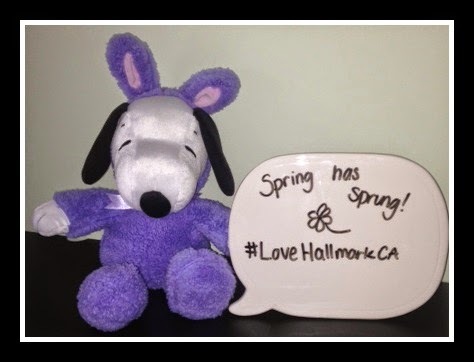 Whether or not the winter weather will completely ease up on us is to be seen, but we can dream of spring - especially Easter and Mother's Day - with great new plush toys, books, home gifts, stationary and gift bags from Hallmark Canada. Spring has always been my favourite season - notably because my birthday is in April. As I got older I also became a big fan of Easter, and of course, when I was blessed with Hannah I now like spring best because of Mother's Day. For all the occasions that occur in spring, Hallmark Canada has you covered. Easter Sunday is April 5th this year. Nothing says Easter like Easter Beagle Snoopy Plush. As mentioned in my Valentine's post, Chris loves Peanuts so he was really excited to receive one of these! To wrap it all up, Hallmark also has a variety of colourful gift bags for Easter - including a super cute bag with Woodstock on top of a bunch of Easter eggs in a nest. Mother's Day is Sunday, May 10th this year. Like anything in life, you really don't know what it's like to be a Mom until you become one. Over the years, I've defaulted to giving my Mom flowers for Mother's Day, but Hallmark Canada allows you to give gifts that will last a lifetime versus a few weeks. In stores you can find books that celebrate Mom. 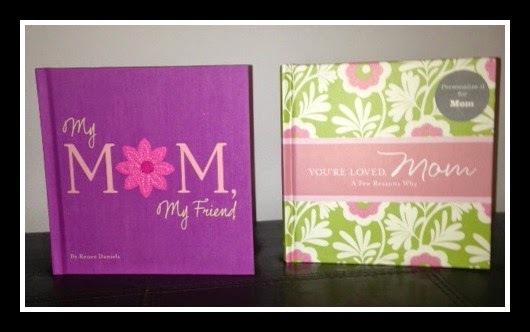 My Mom, My Friend by Renee Daniels is a book of pretty pictures and sayings. You're Love, Mom: A Few Reasons Why is a book you can personalize by filling out memories of your mother while thanking her for all she's done. Hallmark Canada also has embroidered items such as pillows and framed sentiments. 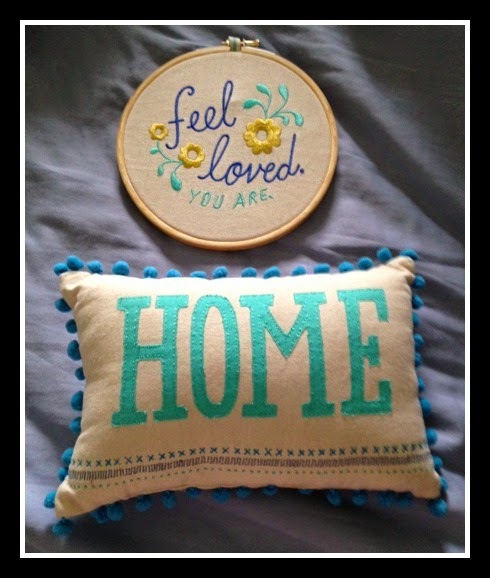 I love the "Home" pillow - as we continue to update and decorate our condo, it reminds me this is in fact home. I love the Ceramic Desktop Whiteboards with Marker. It's a perfect place to put to-dos or write a personal message versus communicating via text. How do you celebrate Easter and Mother's Day? Would you like to win a Mimi? Enter using the Rafflecopter below by March 23rd, 2015. We celebrate Mother's Day by taking the mom's in our family to brunch at a hotel. We celebrate Mother day by cooking a nice meal for mom and dad. Quality family time. We celebrate Easter with an egg hunt for everyone then a family BBQ later. We usually have a dinner for both occassions. Both Easter and Mother's day are spent at my parents house (with my hubby/kiddos of course). Big dinner, good times! Looking forward to my girl's first Easter egg hunt! I host Easter dinner at my house for my mom's side of the family. For Easter, we usually have an Easter egg hunt, attend Church and then share a meal with friends. For Mother's Day, I am lucky if my husband remembers :). We celebrate Easter by having an Easter egg hunt. We usually have family dinners for Easter and Mother's Day. We have Easter dinner at home and have my children over. We celebrate Easter with an egg hunt (inside, as there usually is still snow on the ground), and a big family dinner. Easter is an easter egg hunt in the morning,nice breakfast and a big family dinner in eveing. I host Easter Dinner for family. We celebrate Easter with an easter egg hunt for the kids and fun community activities in the park. We will have an Easter egg hunt for my little guy on Easter! We celebrate Easter by having an Easter hunt and a big family supper at night. We have a couple of Easter dinners and we go to a sunrise service to celebrate Jesus being Alive. Mother's day my kids make me cards and my husband gets me flowers, then we go for a hike after church. Mother's Day we always go out for dinner and pamper mommy. I host Easter dinner at my house for my little family. 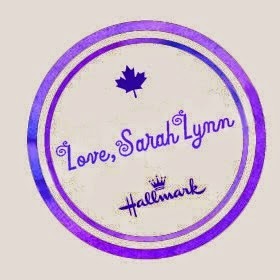 It would be great to win Hallmark Canada’s Mimi. 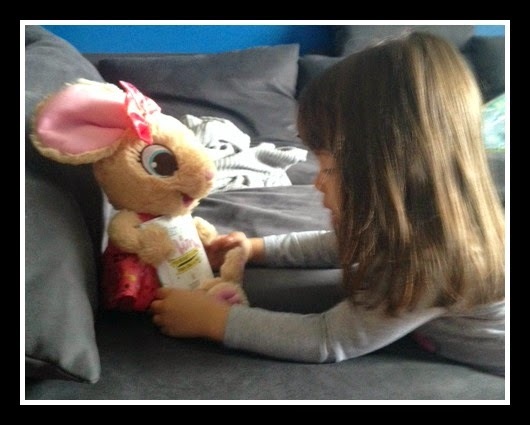 share how i celebrate Easter or Mother's Day. and getting her a gift. We have an Easter egg hunt.